It is hard to believe that it has been 20 years since presenting my Graduate Thesis project at University of Maryland. 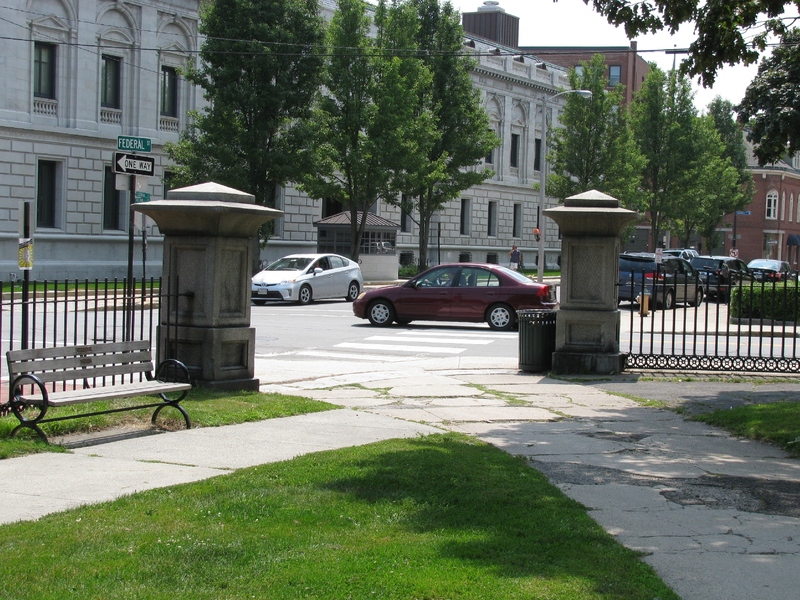 My thesis was an urban renewal project focused on bringing housing and building mass to help re-define streets and park edges in a part of Portland, Maine, from 295 to the downtown waterfront, cut through by a 1960’s highway connector project called the Franklin Arterial. Each year my family and I plan a trip north to visit my mother outside of Portland. It is quite a trek from our home outside Washington, DC, but, having spent all my summers there as a child, the fond memories of cool sea air and sandy beaches make the trip seem worthwhile. This years’ trip was planned around paying a visit to the site of my thesis, as I had recently learned that the city was actually planning to do something to ameliorate the urban blight it inflicted on itself when naively building the Franklin Arterial connector from 295 to the downtown waterfront decades ago. I was excited to read in a newspaper article my mother sent last winter that other people actually agreed something should be done to fix the presumably well-intentioned mistake. Unfortunately, when we visited, there were no signs that anything would happen any time soon. In spite of this scar across the north end of the city, Portland remains an incredibly pleasant, intimate, waterfront city. Walking along the spine of Congress Street one gets a sense of the city’s history. While it is evident that they are struggling to repurpose some of the city’s older buildings, it at least appears as though they have learned from past mistakes of razing such structures and are looking for ways to preserve and maintain quality pieces of the urban fabric. At the East End of town, the Eastern Promenade is clearly showing signs of a renaissance with freshly painted clapboards and manicured lawns. And the ever-popular Old Port is still bustling with tourists. 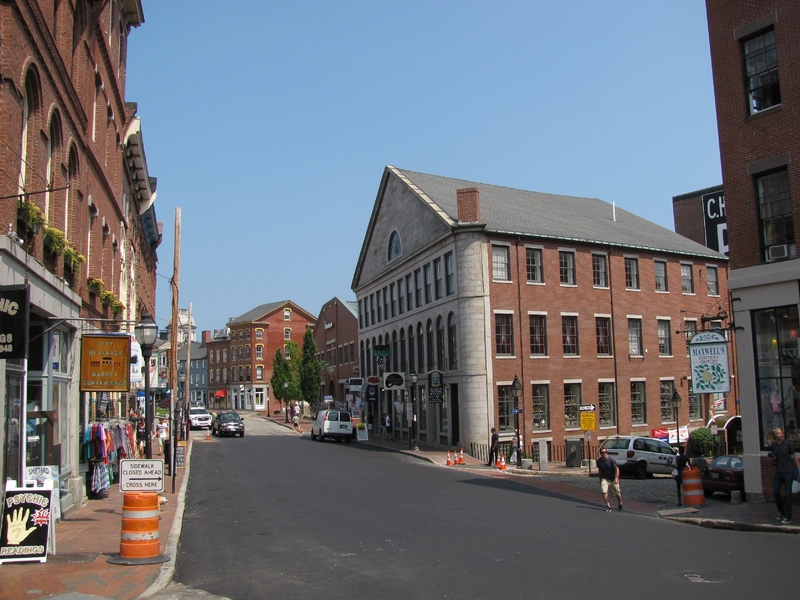 Through all this surface improvement you can see signs of real growth (not just seasonal, summer tourist stuff): investment in infrastructure; new businesses adaptively reusing old masonry buildings; and even newly refurbished lobster boat wharf areas. 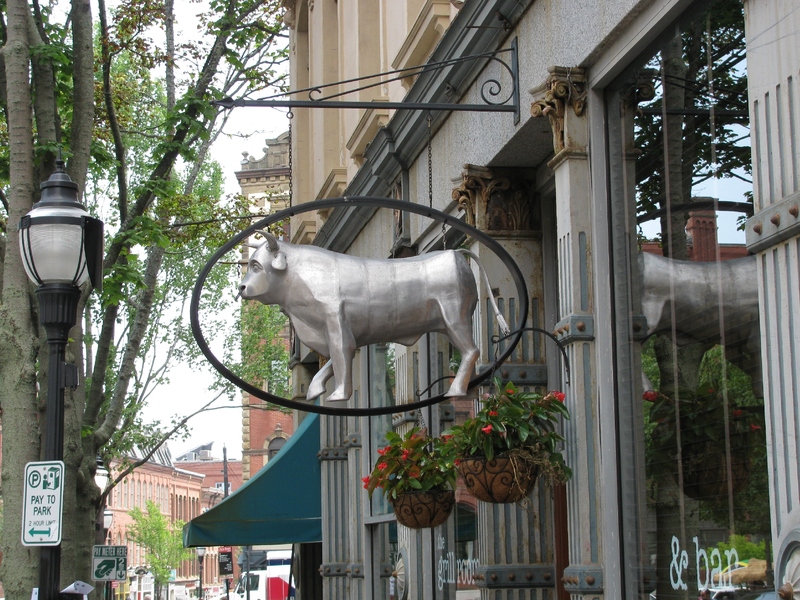 Seeing that Portland is investing in itself is very encouraging. As for the Arterial, progress has been slow. A 2007 citizens meeting formally kicked-off the current revitalization efforts and initiated the “Franklin Street Corridor Study.”. 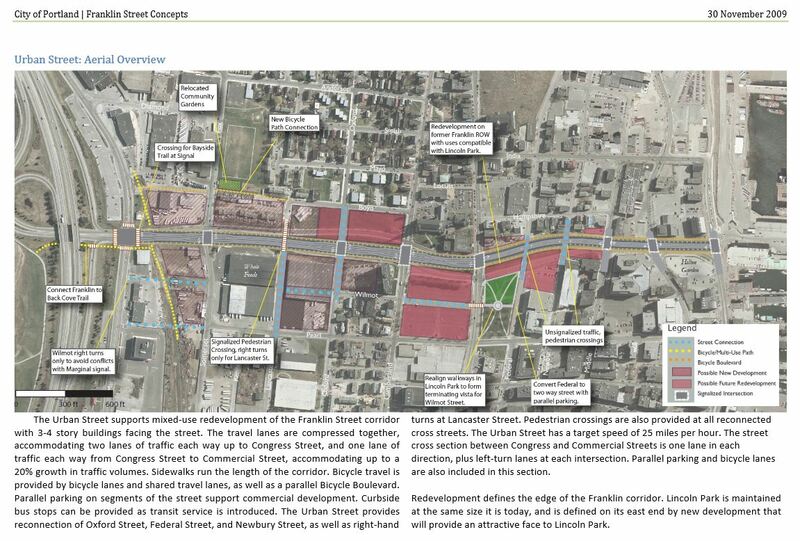 The 2009 “Reclaiming Franklin Street” Phase 1 report sounds promising. A Phase 2 Feasibility Study was started in 2010 and showed that there is great interest in adding bike paths, reconnecting parts of the city, and building more appropriately scaled development along this corridor. Recent Portland Press Herald articles indicate that efforts “to undo the 1960’s project could enlarge Lincoln Park and reunite parts of Portland,”so I am optimistic that the current momentum will continue. As an architect now more than 20 years removed from my thesis project, it is nice to know that there is still hope that the spirit of my 1994 proposal may one day come to fruition! The preceding was authored by DMSAS Associate Ramsay Fairburn. Ramsay joined the firm in 1994 after receiving her Master of Architecture from the University of Maryland.